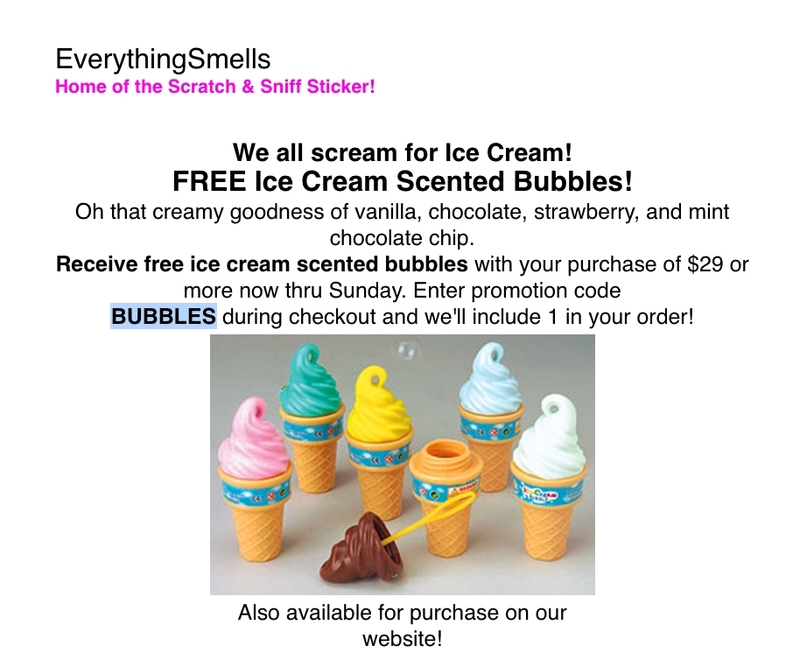 D. B Receive 1 Free Scented Ice Cream Bubble container per customer/household with qualifying order of $29. Order subtotal must be $29 before shipping/tax. Offer expires 7-2-17. Must enter promotion code: BUBBLES at checkout.